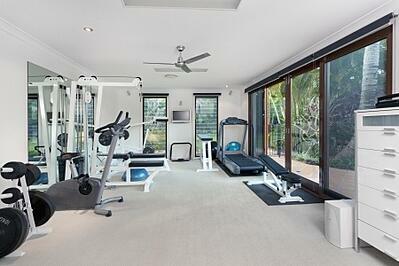 We know what it’s like to have a ton of home gym design ideas in your head but no idea on where to go to get stated. As it is, your desire to workout is admirable, whether you end up in a public gym, pounding the pavement outside, or working out in the confines of your own home. A lot of people find a combination of all to be acceptable and some only go to the gym. But if you really love working out at home, you will probably at some point want to create your own home gym. The idea can be exciting and overwhelming, so we’re offering a few tips to make the creation process less stressful.